Rising oil extraction costs and falling world prices for crude are undermining the viability of more than US$500Bn of oil major’s capital spending plans, according to a report from the Carbon Tracker Initiative (CTI) think tank. CTI says some of the capital projects planned over the next ten years should be either deferred or cancelled or else shareholder value will be destroyed as the huge sums invested fail to generate a sustainable return. CTI’s analysts say that US$548Bn of capital investments in the ten years to 2025 need a crude oil market price of $95 a barrel to be viable. Some $357Bn of the total planned investment will be in high cost projects that have yet to be developed. The analysts say short term cash flows will not be adequate to maintain dividend payments to shareholders as well as financing these plans. The World Bank and the United States Energy Information Administration recently predicted that nominal crude oil prices would rise to around $109 a barrel by 2025. The report identifies 20 major projects costed at $90.7Bn that it says could be cancelled because they need a crude price of at least $110 a barrel to break even. 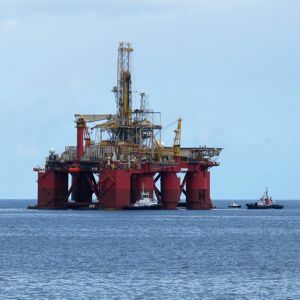 Sixteen of these projects could be regarded as higher risk as they involve deep water drilling or processing oil sands. CTI says Conoco Phillips and Royal Dutch Shell have the most production that could potentially be at risk from low crude prices. Total and Exxon Mobil are said to have the highest percentage of capital investments dependent on higher crude prices.